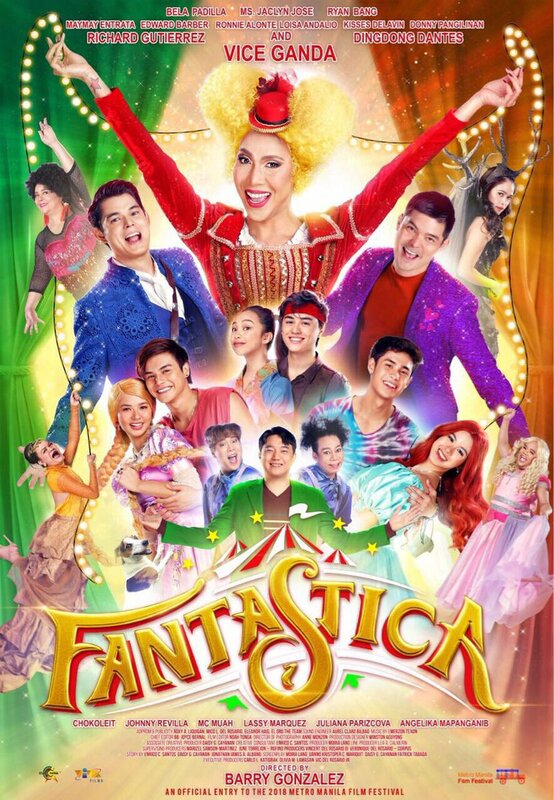 Vice Ganda’s entry in this year’s Metro Manila Film Festival (MMFF), “Fantastica: The Princess, The Prince and The Perya” is directed by Barry Gonzalez and melds fantasy and comedy with a mix of surprisingly touching story fit for the holiday season. The comedian plays Bellat who, alongside his mother, Fec (Jaclyn Jose) and his three adopted brothers Daks (Ronnie Alonte), Pepe (Edward Barber) and Junjun (Donny Pangilinan), runs a carnival called Perya Wurtzbach - the happiest place on Earth, the Universe rather which is obviously a play on Miss Universe 2016 Pia Wurtzbach’s winning Q&A answer. Sadly, the carnival has lost its luster and is now struggling to stay open prompting Bellat to come up with ridiculous schemes to lure patrons. But with Gang Nam (Ryan Bang) and Dong Nam (Dingdong Dantes) hounding his family to sell the place, Bellat finds himself in such a dire situation. Enter a mystical being, Prince (Richard Gutierrez) who bargains that if he helps him find the three missing princesses from the magical land of Fantastica, he’ll restore Perya Wurtzbach to its former glory. Fans have been used to Vice’s antics by now. Between his yearly films and daily TV show, we already know his brand of humor. And sometimes, it would feel like there’s just no evolution to his offerings. But “Fantastica” was surprisingly able to bring something new to the table with regard to Vice’s movie resume. 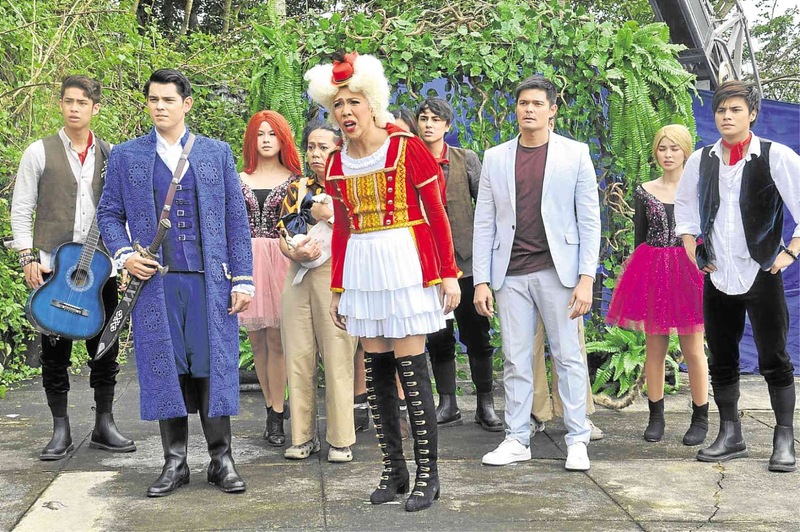 The story in itself was more cohesive, with a dece structure - this is undoubtedly a step-up from some of Vice’s past MMFF offerings as it felt like “Fantastica” didn’t rely solely on the fact that it stars A-listers from both networks. This is a great hook for casual movie-goers who aren’t necessarily in for the star-studded cast, but are more interested in a feel-good Christmas film. Speaking of the star-studded cast, mostly everyone was given their time on the spotlight. Oddly, despite the brand of humor being so beaten up, seeing a tagline being delivered by normally serious character actors like Jose and Dantes gives it a fresh spin. While fans know that Vice usually goes all out for his films, the fact that everyone was pretty much happy to embrace the ridiculousness of their characters elevated the sense of fun watching the movie gives. As with Vice’s comedic style, there are still a handful of jokes that didn’t exactly land, while others were just pushing way past the boundary with regard to what’s allowed given “Fantastica’s” MTRCB rating. And since the flick is being marketed as a family-friendly offering, it would be best if the jokes and taglines are a little bit more innovative rather than provocative. Pacing and editing also posed some major concerns. Scene-to-scene transition weren’t consistently smooth. And considering that “Fantastica” boasts a massive cast with a lot of moving pieces, sometimes, fans can get lost in the shuffle if they’re not paying attention. Overall, “Fantastica” is step-up from the usual content we get from Vice. It’s far from being a perfect movie in the technical sense - some subplots were obviously lazily written and other instances aren’t exactly jaw-dropping, still, it’s a step towards the right direction. Oftentimes, some MMFF films feel like nothing more than just cash-grabs, but this one’s a step on the right direction. If anything, it delivers on the fun that it promises with a little bit more for viewers to feel like it’s worth the time and money.